Hi to all, Ive just joined the site, and thought I would share my c20let rebuild. I bought this car 2 years ago. And on the way home I thought all was fine!!! Oh dear! When I started her the next day, all was not well. Went for a drive, and the oil pressure dropped! Pulled over checked a few things. And said to the Mrs, well I did want to have ago at a fully forged lump! And we do need to get home. So I drove her back, knocking and banging a bit! I wasn't too ******* off, as the car was cheap, and had a lot of mods. I knew already the big ends had gone. So I started to have a bit of retail therapy. And bought all the parts I thought I may need to rebuild her. Anyway I have a workshop with a friend of mine. So I took her down there and started to strip the engine out. As I'm inpatient and didn't want to strip down and send parts off to wait. I got hold of a c20let block with oil jets, sent that away to be resized for Pistons. And also got a coscast head, so sent that along to have all new parts ect so It would be ready by the time I was ready. Here are a few pics of what I did. Plans are for the shell this year and next. In pics that's my build. She runs really well. But needs a remap to get running right. Took me a bit of time but I got there in the end. Hi and welcome to the club. Looks like a nice motor you got there, will be keeping am eye on this thread! Thank you for the comments. I'm itching to do some more. But getting married on sat, and promised no car related stuff for a bit!! Want to go back to standard with the body, but get good power from the build. 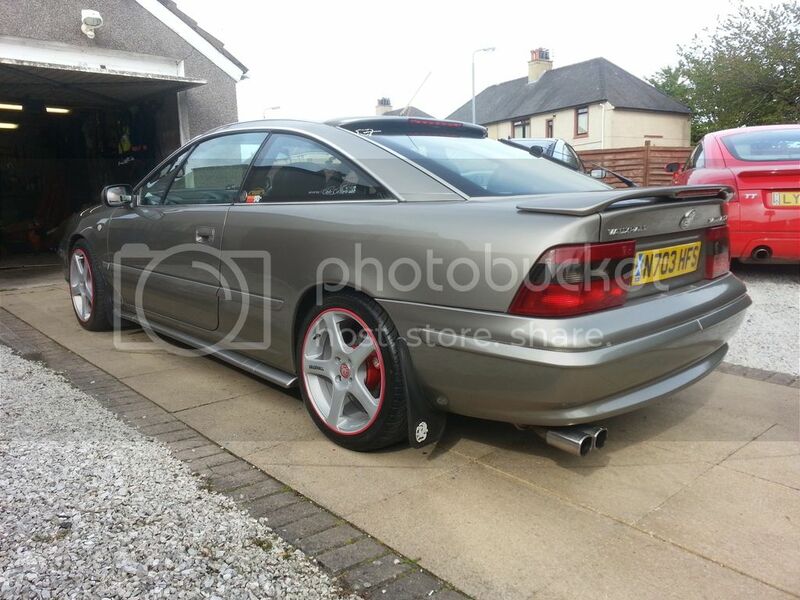 Need a nice brake kit next and respray. Then I will be happy. You are a braver man than me lol! I will get on it asap tho.